In another entire-city-abandons-Microsoft affair, Barcelona has announced that it’s dumping Windows and Office in order to migrate to Linux and other open source solutions. The idea is, obviously enough, to save money by not paying subscription fees to Microsoft, because the beauty of open source software is that it’s free. As to the reality of how the move pans out, we’ll just have to see, but as we mentioned at the outset, Barcelona isn’t the first European city to try this trick. Munich did so, initially instigating plans way back in 2003, and fully completing the move to open source by 2013. However, the city announced it was switching back to Microsoft software in 2016. Nonetheless, Barcelona is treading this brave path, which involves doing away with Windows, as well as Microsoft Office and Exchange, in favor of Linux, Libre Office and Open Xchange. 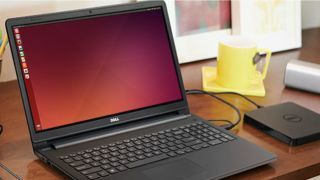 Apparently some folks at the city council are already using Linux PCs with Ubuntu installed, as well as Firefox as the default browser, as part of a pilot scheme. Barcelona won’t just be using existing open source software, but also plans to recruit developers to write fresh programs, which will then potentially be distributed and used in other cities across Spain, furthering cost-saving efforts. As ever, only time will tell how successful this initiative will be, but there are plenty of doubters given the Munich episode. Regarding the latter, as MS Power User reports, one of the main reasons for Munich reverting to Microsoft software was apparently the fact that the tailored Linux distro used (LiMux, based on Ubuntu) and Libre Office were seen to be “far behind the current technical possibilities of established standard solutions”, and were causing crashes and instability. Although pro-open source advocates will doubtless argue that on an overall level, Linux has made impressive strides in terms of becoming more stable and fully supported in recent times. Munich isn’t the only example of a city failing in a Linux migration campaign, either – Vienna tried to make the move in 2005, returning to Windows four years later.